What are hair extensions – Hair extensions are methods of adding hair to natural hair? These methods are used to either extend our hair, give volume or conceal thinning or hair loss. How long does my hair have to be for extensions? Will they damage my hair? Extensions shouldn’t damage hair when applied correctly and if you care for them in accordance with the aftercare sheet you will be provided with. It is down to personal preference and dependent on maintenance and lifestyle. Your hair extensions should last approximately 3 to 4 months however some clients have kept them for much longer with regular maintenance appointments. All the hair used at Creative hair extensions is cuticle correct, The term Remy means all the hair strands are running in the same direction from root to tip. What is the meaning of virgin hair? When hair is described as ‘virgin’, it means that it’s completely unprocessed, free of any hair colour or chemicals, retaining all the cuticles, and in its original healthy state. HOW LONG DOES A MAINTENANCE APPOINTMENT TAKE? Maintenance appointments usually take 2 to 3 hours depending on whether you have a half or full head of hair extensions. Yes, you can dye the hair if it is virgin hair, although it is advisable to do a strand test as your own hair may dye a different colour to the extension hair. How long will it take to apply hair extensions? This usually depends on the client’s hair and the thickness of it, but usually, a full head takes 4 hours on average and a half head takes around 1-2 hours. HOW OFTEN SHALL I COME IN FOR MY MAINTENANCE APPOINTMENTS? We will advise you at your install how regularly you will need to attend your maintenance appointments. Will hair extensions damage my hair? This is a very commonly asked question, The internet and Media have led to believe that hair extension can severely damage your natural hair but the truth is if hair extensions are applied correctly by an experienced technician it should not damage your hair at all and your natural hair will grow even longer. Can the hair be reuse? Yes, 100% of the hair can be reused if they have been maintained well whilst being worn. We will re-bond the tip and re-use the hair. Will the hair extensions be cut once fitted? Yes, after application your new extensions will be trimmed, blended and styled. Our method retains the natural tip of the extension hair while at the same time adding layers and integrating your own hair into your chosen style. because we want the hair extensions to be natural and undetectable. Can I go swimming with them? You can go swimming with them, however, activities like swimming can dry out the hair extensions so it is advisable to wear a swimming cap. If you do go swimming please ensure to thoroughly wash and dry the hair extensions properly afterwards as they can get knotted. Can I style my hair normally? Yes, you can wash and style your extensions in exactly the same way as you would your own hair. Our Clip in hair extensions? Clip-in Extensions comes in Remy hair which is the finest quality hair. Each set of clip-in extensions are custom made for each individual so that natural hair colour, texture and style can be perfectly matched. Love the fact that they are easy to install and remove. Should I give my hair a rest in between hair extensions sets? This is down to personal preference. Some clients like to give their natural hair a rest of a few weeks to a few months before their next install. Others like to get their new extensions straight away. It is down to personal choice. Prepare for your fitting – Wash your hair on the morning of the fitting, preferably with a clarifying shampoo. A clarifying shampoo ensures all residues are removed. These residues must be removed as they can effect the bonds. Do not apply any styling products. Thoroughly dry your hair in its usual parting and straighten if possible. This makes it easier to see where the bonds are going to be applied. Are hair extensions bad for my hair. Hair extensions are very safe for the hair if they are installed and removed professionally with the correct aftercare instructions being followed. Can I straighten or curl my hair. Yes. You can straighten, blow-dry, curl, and style human hair extensions, just as you would your own hair. Why is there shedding when I remove my hair extensions. Hair sheds naturally on a daily basis. It’s normal to loose up to fifty hairs a day. Hair extensions don’t stop this entirely natural process. The hairs that are shed over a period of time become trapped in the hair extensions and released when the extensions are removed. Your hair extensions will blend perfectly with your own hair, match your colour and texture. Trimming and shaping after each fitting is part of the service. Why is there shedding when I remove my hair extensions? Hair sheds naturally on a daily basis. It’s normal to loose up to fifty hairs a day. Hair extensions don’t stop this entirely natural process. The hairs that are shed over a period of time become trapped in the links/bond/weft and release when the extensions are removed. How long will my hair extensions last. Before going swimming, we recommended that you braid your hair or pull it up into a ponytail to keep it from tangling. It’s best to wash your hair after swimming and use a spray in conditioner. Please note – Other than our virgin unprocess hair , Blonde colour hair and lighter colours in our extensions may have a slightly shorter life span than darker colours due to the chemical process used to lighten the hair so we will take no Responsibility for any hair that has been coloured/bleached. What can hair extensions do for your hair? Hair extensions washing and styling. At Creative hair extensions we only use 100% natural human hair, so you can wash and style your hair extensions just as you would your own hair. New hair extensions should not be washed within 24hrs of being applied. Before every wash, separate each bond and make certain that the hair is free of tangles. Do not wash your hair for 2 – 3 days after the extensions are fitted. Can I colour the hair extensions? Creative hair extensions will colour match your hair perfectly to the hair extensions so we do not recommend colouring any hair extensions. CAN I USE DRY SHAMPOO ON MY HAIR EXTENSIONS? 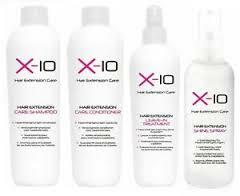 To get the most from your hair extensions, it needs to be kept clean and oil free. We recommend regular washing rather than using dry shampoo. DO I NEED TO USE SPECIAL HAIR EXTENSIONS PRODUCT? To keep your bonds in good condition your hair extensions must be washed with an oil and alcohol-free shampoo. A good quality, protein-free conditioner and a moisturising oil should be used on the ends of the hair to prevent it from drying out. If you regularly use heated styling tools we strongly recommend you use an oil-free, heat protection product. If you are using Hair Straighteners or tongs, do not put them on the bond. This will cause the bonds to weaken and slide and eventually fall out. HOW DO I BRUSH MY HAIR: Brush every day from dry, take sections hold the roots firmly and gently start from the ends and work your way up towards the roots. Use aftercare conditioning spray to detangle. Make sure your bonds are separated at the roots. The use of serum is recommended. * Do not sleep with wet hair. Ensure it is dry before going to bed. It is recommended to gently tie your hair up to prevent tangling too. * Before going to sleep, put your hair into a plait or tie it. up loosely to avoid any tangling during the night. Avoid going to bed with wet hair. 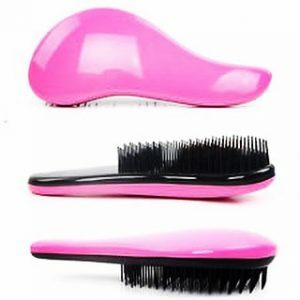 Brush your hair with a Paddle brush before washing your hair. This will stop your hair getting tangled when washing your hair. When washing your hair, do not tip your head over the bath or sink and do not wash it in the bath as this could cause tangling. Always wash your hair with your head upright – in the shower is ideal. You may get your roots touched up without any problems, once again avoid the bonds and extension hair, this is usually carried out by just coloring the t-section. We have a 24-hour cancellation policy and appreciate as much notice as possible if you need to change or amend your appointment. up at your allotted time will incur a fee charge of £40 of the appointment. When booking any appointment at Creative Hair Extensions You are accepting this appointment/cancellation policy. We strive to offer an excellent service from initial consultation, throughout extension fitting & right up to extension removal. To ensure your experience is a good one and to enable us to maintain our excellent service, clients are kindly requested to observe and follow the terms and conditions on this site. •Deposits are Non Refundable and are required on booking of a fitting after consultation, this is to cover the majority cost of ordering your hair and to secure your fitting appointment. If you do wish to cancel your fitting appointment your deposit will not be refunded for any reason. We strictly do not accept any refunds, returns or exchanges on any of our hair extensions, due to health and safety regulations, exceptions. Once the hair has been used or fitted it is no longer creative hairs responsibility, we are not liable for the aftercare and condition of the hair once it has been fitted and used. Deposits are non-refundable under any circumstance however a partial refund may be issued if there is an admissible and legitimate reason whereby an issue has been unable to be resolved. We recommend not colouring the extensions, if you choose to Colour the extension that will be at your own risk, creative hair extensions will not be liable, also by colouring the hair you will invalidate any warranty given. Creative Hair Extensions reserves the right to refuse service at any point if there is a legitimate reason to do so.